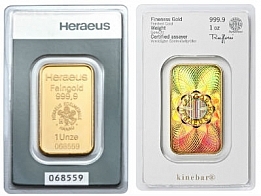 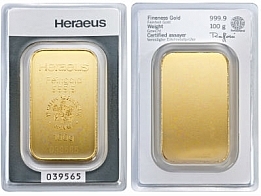 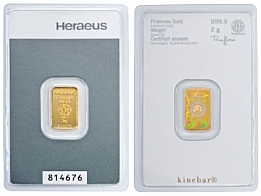 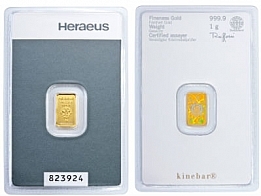 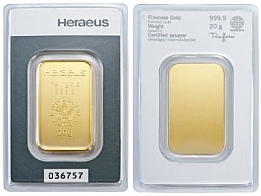 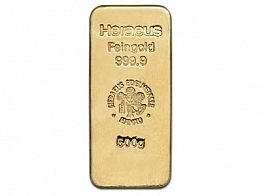 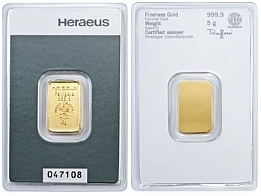 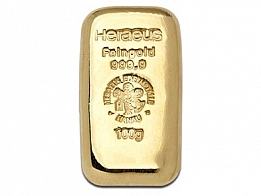 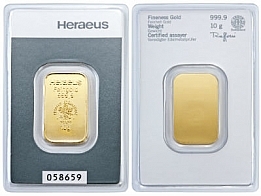 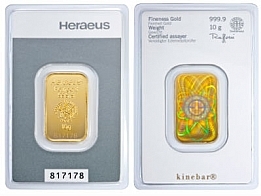 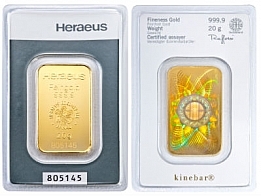 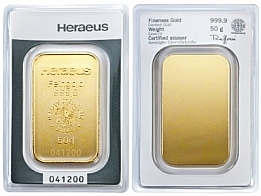 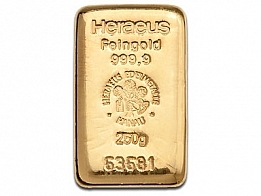 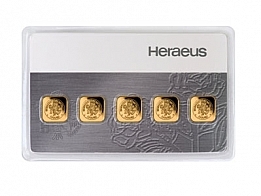 Buy Heraues gold bars, including Heraeus cast gold bars and Heraeus gold kinebars. 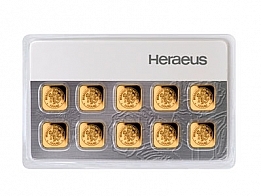 Heraeus gold bars are available in sizes ranging from 1 gram to 1 kilogram, including the 1 ounce gold bar. 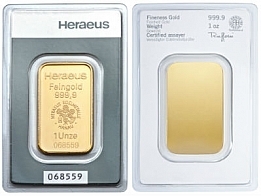 Buy Heraeus gold for delivery of Swiss Vault Storage.